The above info came from Joe M, and was edited by yours truly (contact me). The image came from Josh & Becky's Evangelion Page. Sachiel is the next angel to invade Earth after a long 15 years from the Second Impact. It invades Tokyo-3 and proceeds to devastate it at it's leisure. Sachiel seems fairly equipped for close combat. Sachiel has two ramming machine-type things in both hands to smash apart it's enemies. It is also capable of firing a blast of energy that can be fairly devastating. However, Sachiel has a weaker AT field than previous angels. 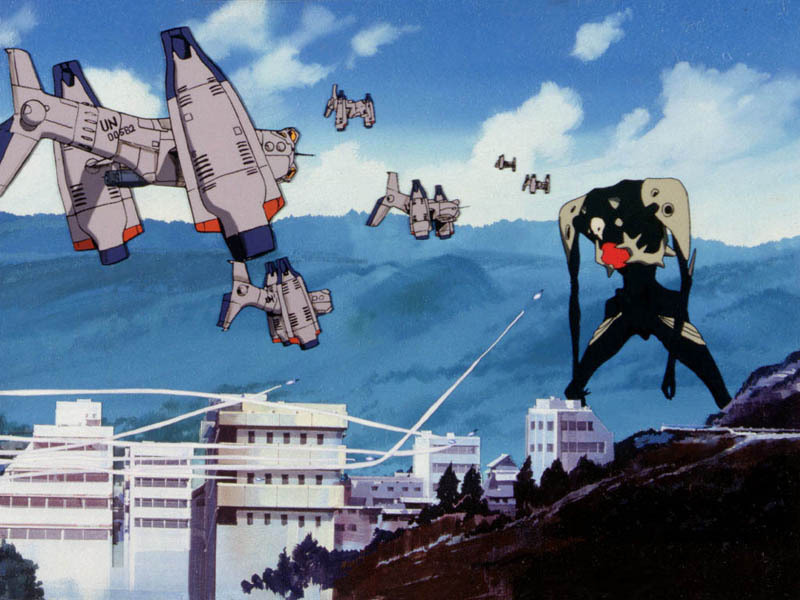 Sachiel only learns the beam attack after the defense forces attack with projectile weaponry. As one of the military personnel said, "it can upgrade itself". This is the first Angel Shinji Ikari faces, and Shinji is quite unprepared to take on the Angel. 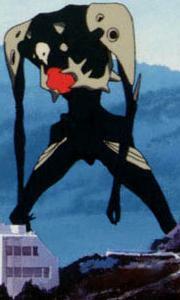 The Unit 01 goes berserk after its skull is punctured, but before it can kill the Angel, Sachiel self-destructs.